Events with the Lab in October! It’s cooling off outdoors but the Lab is heating up for October! 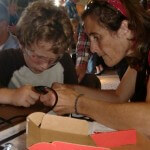 Come by the Lab from 6pm-8:30pm to learn to solder! We’ll be assembling Weevil Eye’s from Sparkfun. Donations welcome, RSVP [email protected] so we know you’re coming. Inexperienced and experienced programmers gather to jam on Python code. This session focuses on lesson’s from Python The Hard Way. Come by the Lab and learn about the inner working of locks, safes, and other physical security devices! 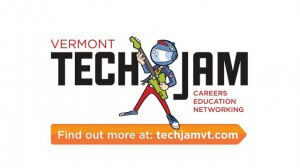 VT Hackathon: Sam & Friends will be competing in the HackVt event hosted by MyWebGrocer, Dealer.com Fairpoint Communications and C2 Computing. October 11-12. Jesse might be flying his multicopter around the building! PumpCon: Laboratory B member Jesse will be in Philly for PumpCon a very old school hacker con. PumpCon is the 25-27th of October. GoRuck Challenge: Jesse will be attempting the GoRuck Challenge (second time) Saturday the 5th at 1Am. It’s not that tech, but it’s crazy fun. TechJam: Laboratory B is proud to have a table at the Techjam along with Burlington’s other makerspaces. We’ll be there talking about Burlington Gig, Tech Outreach, what’s going on at the Lab and other fun stuff. October 18-19th at Memorial Auditorium in Burlington. Ask us about the after party. Get your Tech-Month Burrito this October, all month long,at Boloco on Church Street! And this Friday, Oct 4. from 11 a.m. to 5 p.m., 15% of all Boloco burrito sales (not just the Tech Month burrito) will be set aside for a donation to Girl Develop It. “Girl Develop It” is dedicated to providing a harassment-free community and learning experience for everyone regardless of gender, gender identity and expression, sexual orientation, disability, physical appearance, body size, race, or religion. CLICK HERE TO LEARN MORE. Want to create apps for Fletcher Free Library? Want to help Big Heavy World promote and preserve Vermont-made music? 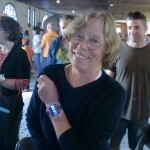 Want to build WordPress websites for Vermont’s non-profit organizations? Join other developers, technology integrators, designers and hackers of all types for 2 days of civic hacking at Fletcher Free Library. Author Jesse KrembsPosted on October 3, 2013 October 22, 2013 Categories eventLeave a comment on Events with the Lab in October! 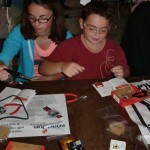 The Laboratory B crew had a great time at the two day Champlain Mini Maker Faire! 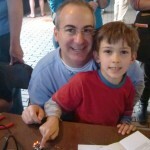 With the support of Sparkfun (Thanks, Dave(s) and Jeff) we taught kids & adults how to solder! We had three kits in the mix this year, Weevil Eye, Big Time Watch & Mr. Roboto. If you had trouble with your kit or ran out time please feel free to swing by the Lab, but let us know your coming ([email protected]) Awesome! Adults even learn something new!